After an early morning breakfast and checkout at Eduardo’s Tourist Inn, Charlie and I again boarded our Ford Explorer and promptly departed Calabayog City for Allen by 6 AM. We were done with GPS mapping and were now homeward bound. The 71-km. drive, over intermittently pockmarked concrete roads of the Maharlika Highway, for Allen took just a little over 1.5 hrs., passing the Northern Samar towns of San Isidro and Victoria. Allen is an important port town for inter-island transport, connecting Samar Island with Luzon, over the San Bernardino Strait, at Matnog (Sorsogon). Former called Minapa-a and La Granja, it was renamed, during the American period, after Gen. Robert Allen, the American military governor of the Visayas. When we arrived, there were many cargo trucks and inter-island buses from the Visayas and Mindanao already being loaded inside RO-RO (Roll On Roll Off) ferry. 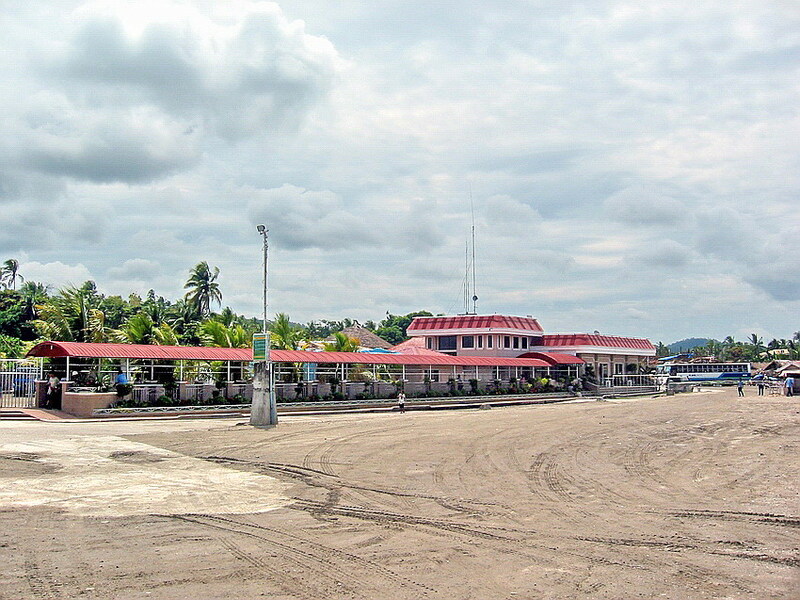 A number of relatively low priced hotels and inns are located near the port, ready to serve transiting passengers who want to stay overnight, especially those who are stranded because of high waves in the San Bernardino Strait. 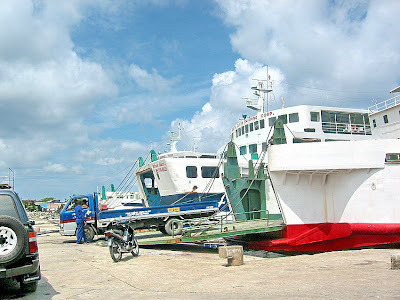 Our ferry, with our Ford Explorer now loaded, left Allen port by 10:30 PM.